4. For LandOnly package, International flights to/from China, as well as transportation to/from the above city. Take your flight to China. You will arrive in Xi’an. Upon your arrival, your Tour Guide will greet you and then transfer you to your deluxe hotel. Today’s excursion will take you to modern China’s greatest archaeological discovery – The Terracotta Warriors and Horses, which silently guarded the tomb of China’s First Emperor for over 2,200 years. Next, you’ll head to the Terracotta Replication Factory that actually re-made terracotta soldiers. In the afternoon, stop at the Buddhist Jianfu Temple, where the towering Small Wild Goose Pagoda commands a panoramic view of the city. Transfer to the airport for flight to Jiayuguan. Historically a small township engaged in local trading, catering to the needs of the military garrisons stationed at the fort in 1372. 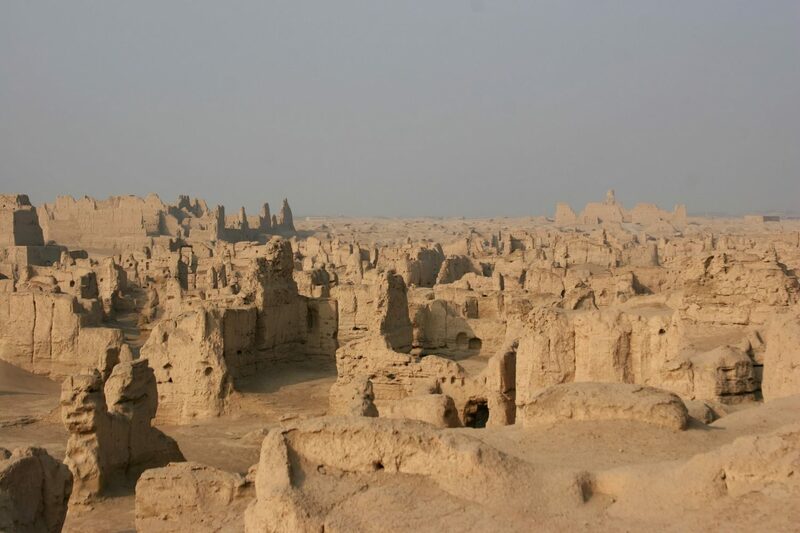 Visit Jiayuguan Pass built during the Ming Dynasty to protect the last frontier of the Chinese empire. Take a morning drive to Dunhuang. 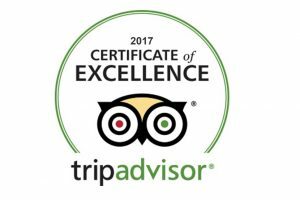 Upon arrival in Dunhuang, you will be transferred to the hotel. Tour the Mogao Grottoes, the World’s richest treasure trove of Buddhist manuscripts and art. It began in 386AD and added to over the next 9 centuries, the grottoes total over 45,000 square meters and boast over 2,000 murals and sculptures. 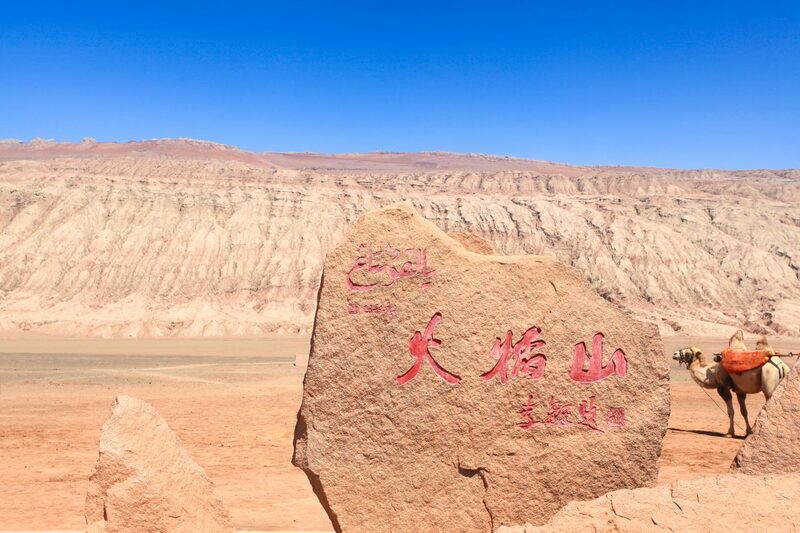 Transfer to the train station for an overnight train ride across the desert to Turpan. Arrive in Turpan. 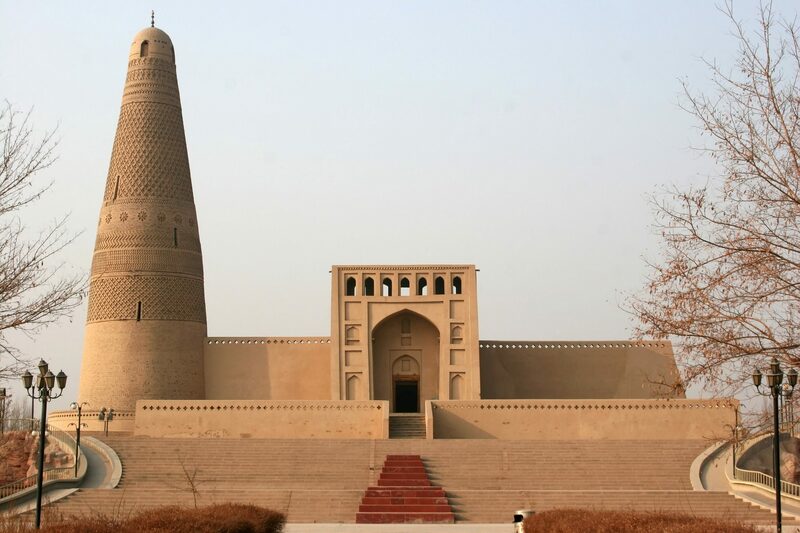 Sightseeing features Gaochang Ancient City, the ancient walled capital of the Uighurs, which flourished between the 7th and 14th centuries. In the afternoon see the Flaming Mountains on your way there, named for their vibrant color and Suliman’s Minaret if time permits. 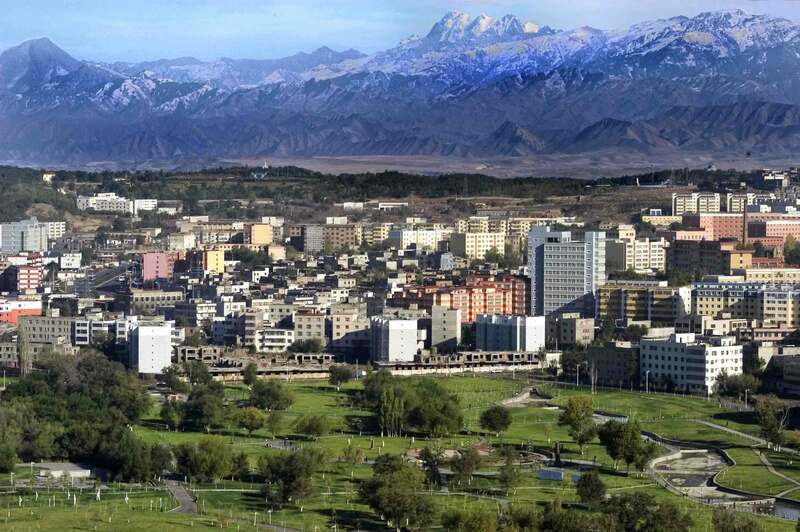 Board a coach transferred to Urumqi (about 2.5 hours), the capital of Xinjiang, China’s huge western province. If time allowed, stop at the most famous bazaar – Erdaoqiao Bazaar. Later transfer to Airport to fly to Kashgar, a key hub on the ancient Silk Road. Overnight in Kashgar. After breakfast, head directly to the Great Bazaar, thousands of merchants haggling for camels, carpets and other native goods; imams on donkeys and veiled women in their black robes. Later you will visit Id Kah Emin Mosque, one of the largest in China, and the Tomb of the Fragrant Lady. Fly from Kashgar back to Urumqi. 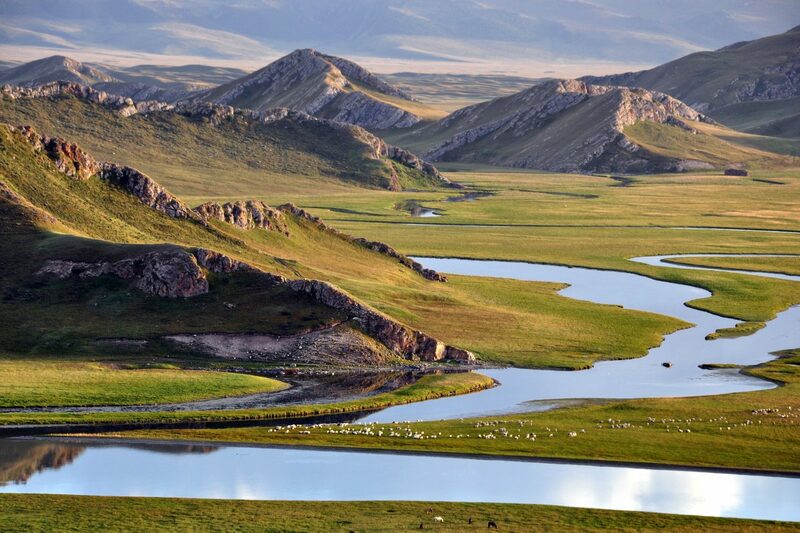 Visit a Kazakh family in their yurt and Tianchi Lake (Lake of Heaven), nestled in the Tianshan Mountain range. 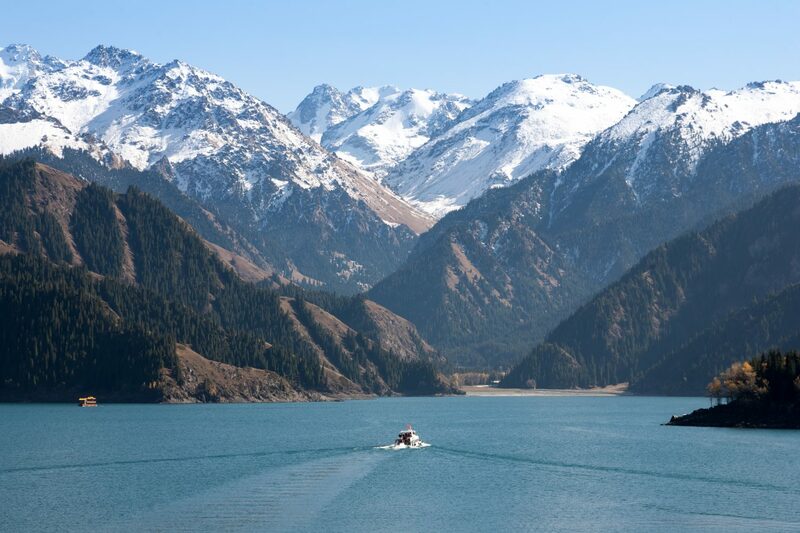 Take a boat ride and enjoy breath-taking views of a crystal clear lake. Later flight to Beijing or Shanghai, and overnight. Today you’ll board a flight to return home. Your amazing Silk Road trip ends.